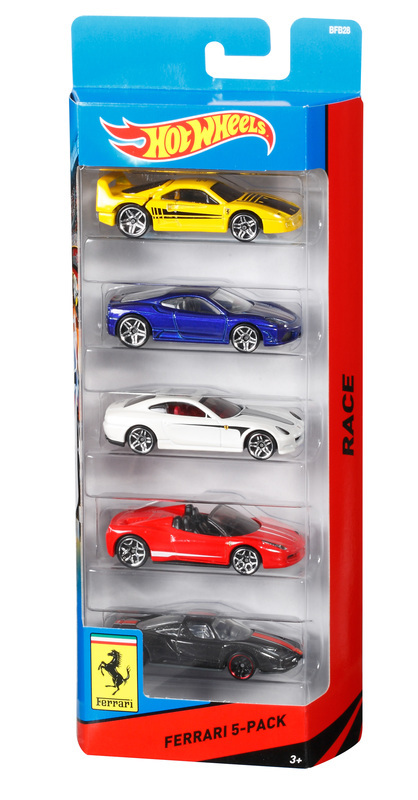 Hot Wheels 5-car packs deliver five of the coolest 1:64 scale die-cast vehicles with unifying themes in one package. Each pack is an instant collection! Not for use with some Hot Wheels sets. Window box. Ages 3 and older.